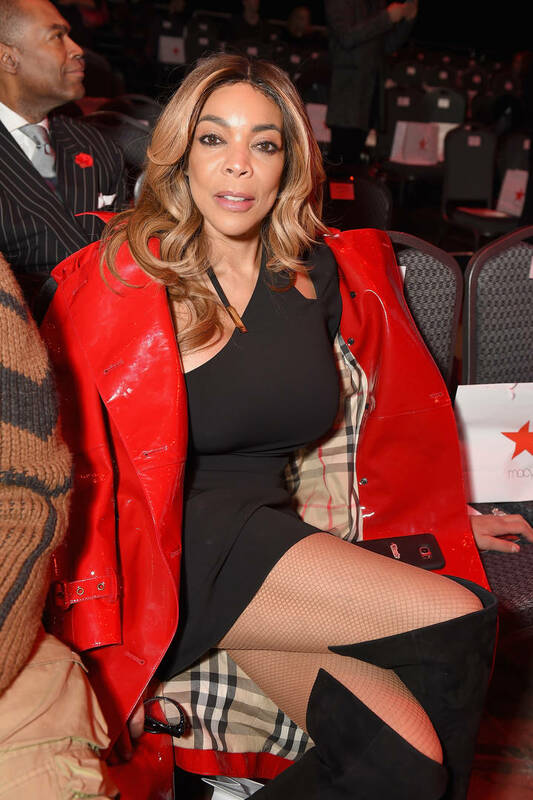 Wendy Williams is not ending the month on a strong note. The talk show host is being tested on all levels of her personal and professional life. For weeks now there's been reports that her husband, Kevin Hunter, welcomed a new child with his mistress and while nothing has been confirmed, Wendy was previously spotted without her wedding ring. It's important to note that she was recently spotted with the ring back on her finger, but as of today (Friday, March 29th) The Daily Mail has seen the talk show host without her wedding ring yet again, after her self-titled talk show announced a week hiatus. Page Six reports that the break was scheduled in the fall and it's simply just a coincidence that it's taking place at the height of the controversy in her personal life. "‘The Wendy Williams Show’ is taking a previously scheduled spring break hiatus and airing repeat episodes during the week of April 1st," a spokeswoman for the show said in a statement. "The show will return with original episodes on April 8th." Wendy has been battling her addictions lately and dealt with an alcohol relapse not too long ago. We can only hope the week sets her up with the help she needs and she makes a strong come back.